Hope you are having a fun summer so far. We are looking forward to another wonderful year at VCS and are hoping to see some familiar faces and meet some new friends at the upcoming events happening in August, before the start of school. On August 11th and 14th we will be having a campus clean-up and family picnic. Bring the family and join in on getting the campus ready for the school year. You can come anytime that is convenient for you, in the morning, or afternoon – 30 minutes, 2 hours or all day. Even if you don’t have more than an hour to spare, join us for the bring your own blanket and picnic lunch and meet us under the big tree next to the play equipment in the field from 12 to 1pm. Come both or either day. August 24th VCS will host a Parent Orientation from 5:30pm- 7:00pm on campus. This is a great event to learn more about the Village Community, Philosophy, and various ways YOU can contribute! Teachers will be on site and the classrooms will be open, including the new middle school room. Classroom assignments will also be made available at this event. There will childcare available for this event for $5 per child, but you must RSVP in advance to vcsofficemanager@gmail.com. 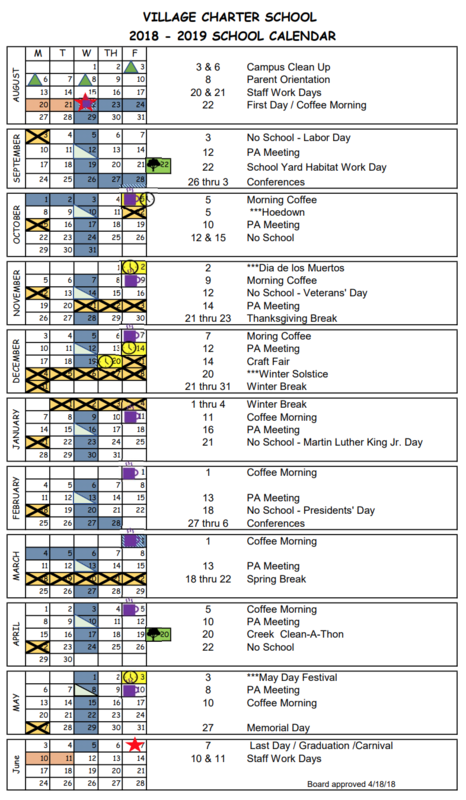 Hope to see many of you at these upcoming events! 4th Annual Creek Clean-a-Thon Fundraiser. 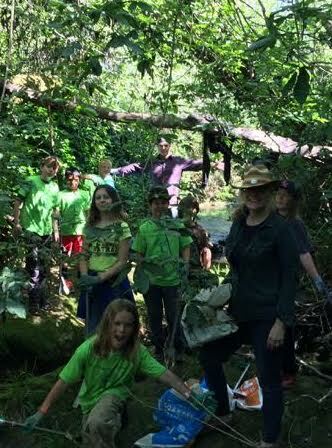 We’re excited again this year to have the opportunity to clean up trash pollution from a large section of Peterson Creek that runs very near to our school! Trash debris in and around our creeks is a big problem that has a damaging effect on creek habitat and water quality. Litter flows from people’s lives into storm drains that then flow directly into our creeks, rivers and ocean. People, plants and animals need clean creeks and unpolluted water to be healthy. Our Village community will have fun together while making a big difference by cleaning up Santa Rosa Creek. Order Your Custom VCS Yearbook! ● Custom Yearbooks: Every student gets a one of a kind printed copy containing two free pages to customize with personal photos. 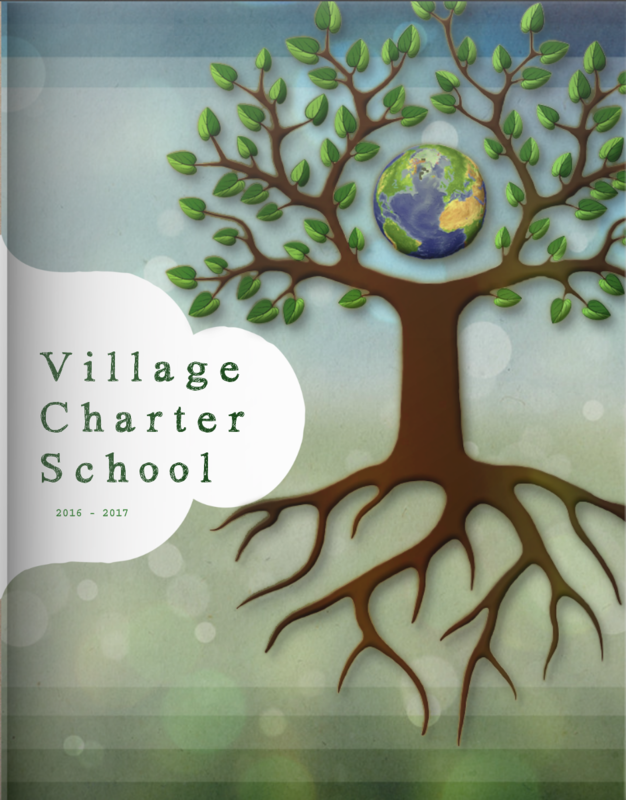 ● Green Yearbooks: TreeRing plants a tree in our school’s name when you purchase a book and prints on recycled paper. ● Beautiful Yearbooks: All yearbooks are gorgeously printed in full color using the highest end print production available. We still have a lot of 2016/2017 memories to make, so yearbooks won't be delivered until the last Monday of the school year (June 5). However, it's never too early to get your order in and start customizing your child's personal copy! ● Your personalized yearbook only costs $20.00. ● You’ll need to purchase your copy and complete your free custom pages by April 13. ● Your 2 free custom pages are optional, if you don’t customize you’ll receive a standard yearbook. ● Order your yearbook by May 8 to get free bulk shipping with the rest of VCS!